Engineering the Ideal Sweats | Valet. 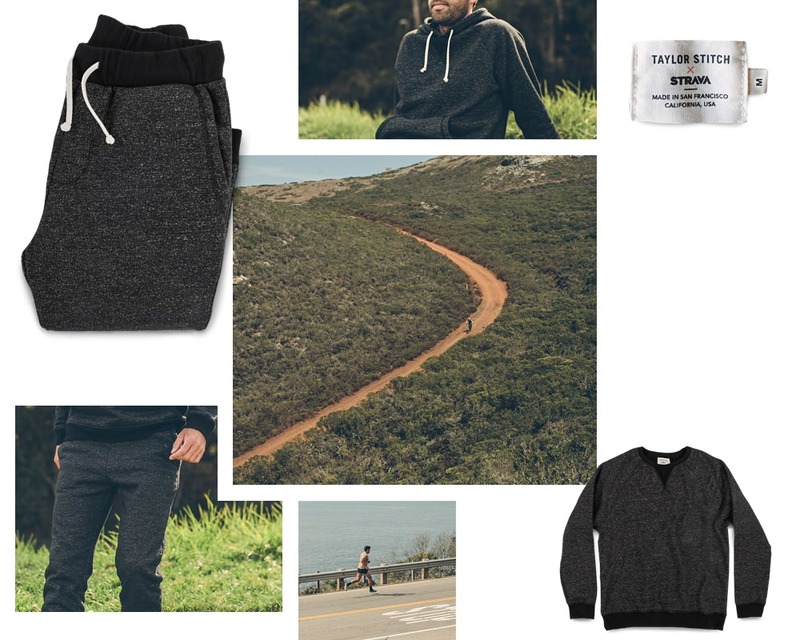 Taylor Stitch has partnered with performance and activity tracker Strava on a new line of sweatpants and sweatshirts. Dubbed the Après Collection, the range was designed especially for after you push your body to the limits and crave comfort (and maybe a cold beer). "The challenge was engineering a heavyweight fleece that delivers the same relaxing feeling as a warm tub," they tell us. Of course, because this is Taylor Stitch, the expertly-tailored tops and pants look just as sharp out of the house, so don't feel compelled to take them off too soon. But given how much R&D went into the making of these comfortable staples, you probably won't want to anyway. A tailored take on off-duty style. Casual pieces we can't get enough.